Chasing the sun's Energy Star - DIESOLIS Co., Ltd. 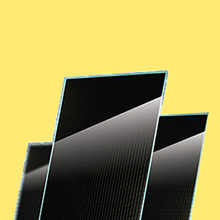 Listed in the photovoltaic industry first echelon, Hareon roots in overseas markets, the lack of electricity in the light power to, the rise of the potential for the development of green energy, but also for the global development opportunities to win, to become the new Silk Road on a bright rising energy star. In the Indian state of Andhra Pradesh, a group of 72mw of power projects are under intense construction, in the sunshine, the construction site magnificent. 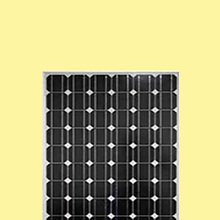 A pile head emerged, rows of photovoltaic panels as neatly stand proudly, emitting a bright light shield. This is so far China's first power plant project in India, has signed with the local Power Grid Corp for up to 25 years of power supply agreement. Early next year is expected to talk about power generation. CFO Cao: this project the overall yield is good, close to 14 to 15 percent, India is a developing country, the project of his power supply for improved. Another one of our PV is new energy power generation, but also for his make a contribution to environmental protection, we have a 17MW power station condition what have now to start construction. India is one of the global shortage of electric power and power shortage is the most serious country, sunshine condition is very good, predicted to India will become the main battlefield of the global investment in solar power, Hareon in July last year to set up the Indian subsidiary, engaged in solar power plant construction, operation and business, the first stride the development pace of India and Southeast Asia market. 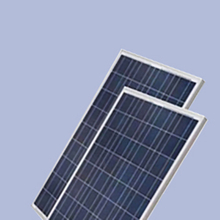 Before focusing on the India market, the Sea run photovoltaic as early as 2011, has started the development of overseas photovoltaic power plant investment business, distributed in Bulgaria, Italy, Britain and other countries of the power station project more than ten. But subject to qualifications, these projects are completed in the form of cooperation until June of this year, a certificate so that the Sea run photovoltaic to achieve a no about no beam off. Reporter: my hand this certificate, is Hareon not long ago has just won the foreign project contracting qualification certificate, then the certificate Hareon for developing overseas market significance is very significant, the future Hareon can to the identity of the general contractor to participate in the construction of overseas projects. Is no longer dependent on contracting company, Hareon now can fully display fist and foot, the use of accumulated a few years ago, overseas project contracting experience, to achieve a new breakthrough for foreign power plant investment business in the industry, at present Hareon in Germany, Italy, Switzerland, South Africa and other places set up subsidiaries, in worldwide has more than 70 controlled subsidiaries and business network covers all over the world. Relying on the "The Belt and Road international trade strategic cooperation framework, Hareon will continue to play their own high-quality resources, bigger and stronger market share of overseas projects, vigorously explore the overseas international engineering contracting market, the implementation of the strategy of" going out "development goals, continue to improve the international competitive strength.